It’s been a while since I’ve been able to do any detecting, but today I got the chance to try out a new farmstead. 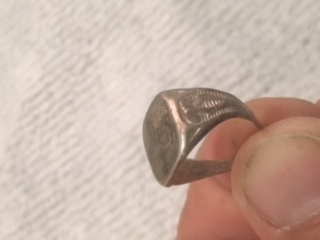 The hunt turned out great because I found a nice old sterling silver ring buried 3 inches deep! 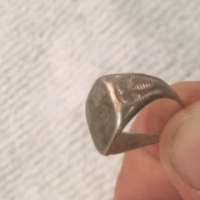 I was using my at pro and I had no idea that it was going to be a ring. It was showing an 86 which is usually a quarter.